It has been a while since I had Narthangai in fact it was about 20 years ago. 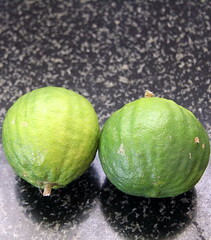 This time When I went to India My mum bought Narthangai. I asked her to make rice. 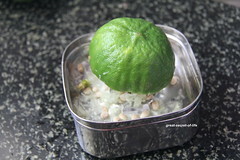 My kids had citron rice for first time. 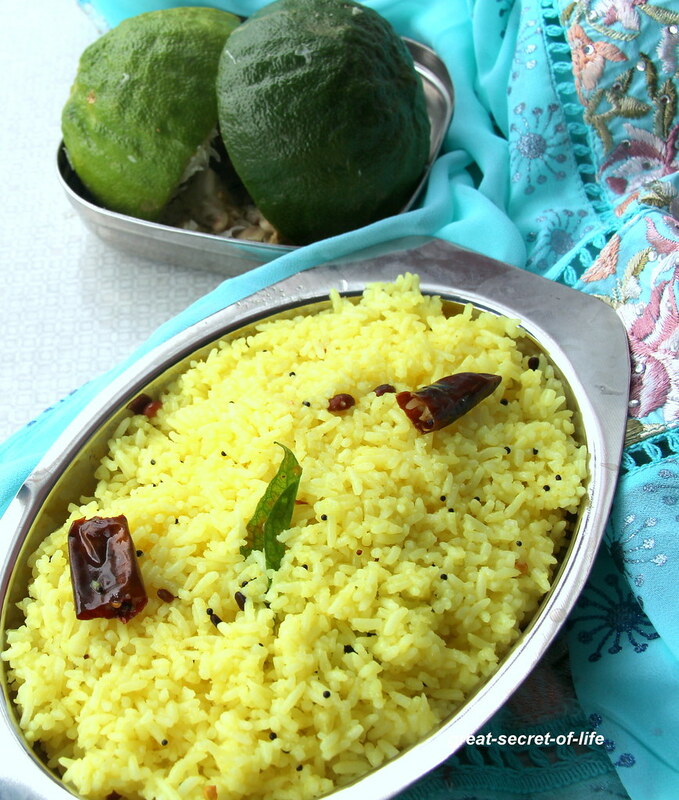 She made this rice very similar to Lemon rice. 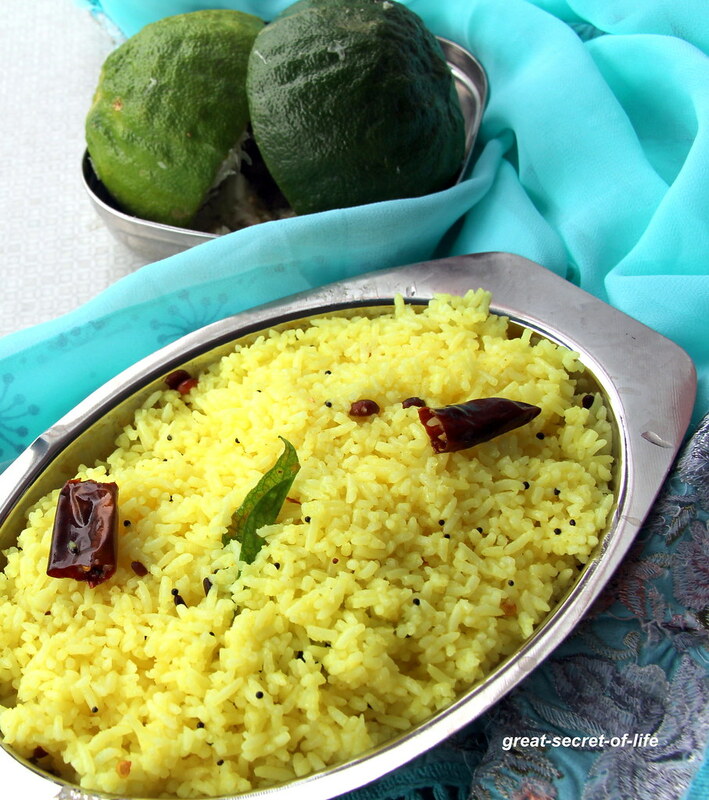 It is very simple to make and very tangy rice. It goes well with any spicy vegetable as side dish. We enjoyed it! Slice the narthangai and take juice from it. 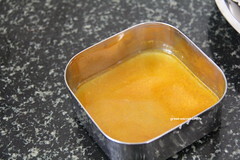 Add turmeric powder to the juice and keep it aside. 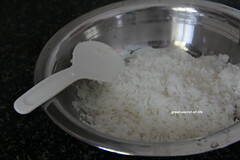 Cook the rice and spread it in broader vessel. Heat oil and add mustard seeds let it pop. 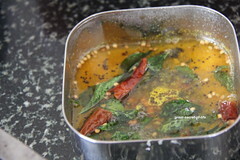 Add dhals, Chilli, Curry leaves and Asafoetida. 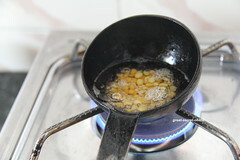 Add the seasoning to Narthangai juice. Mix well. Now add this with salt to cooked rice. Mix well. I didn't get fresh Narthangai here. 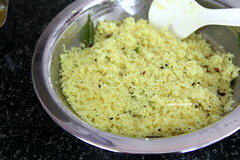 Narthangai rice looks delicious. 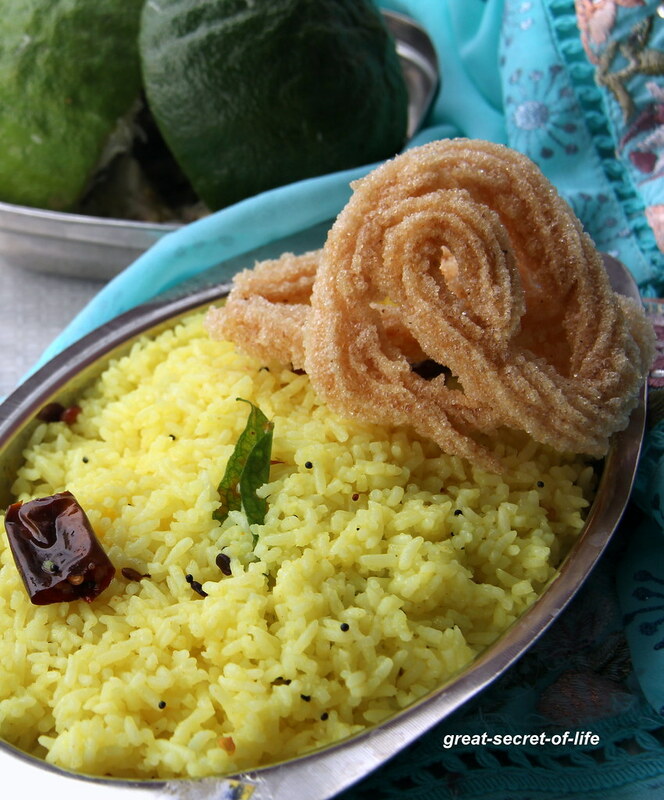 Rice looks so tempting with the vadams, superb..
omg narathangai sadam looks so delicious .. am drooling here !! 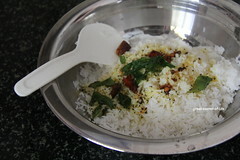 Narthangai is new to me..the rice looks super! Sadam looks so inviting Veena.Hmm 20 yrs thats a long time.